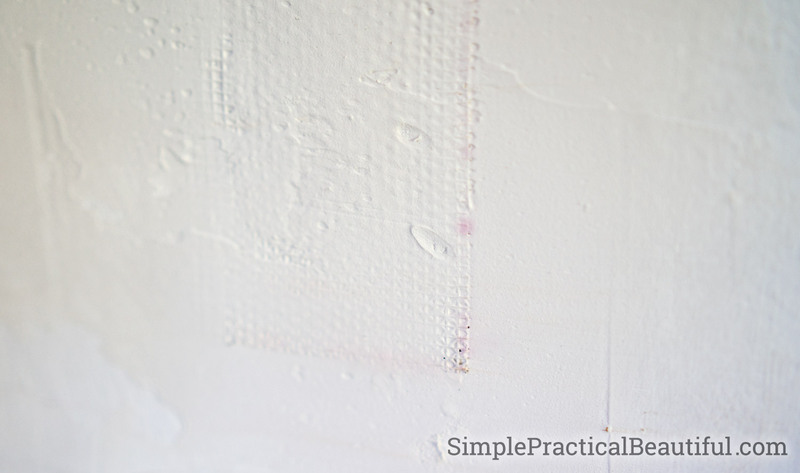 Patch a hole in your drywall or plaster wall with these easy steps. Repair any hole of any size with the right equipment and make your wall look like new. 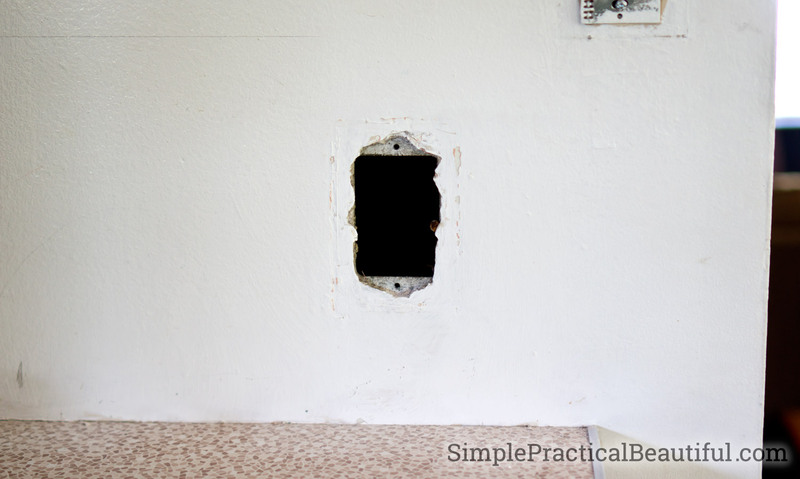 Patching a hole in a wall is easy, but the process depends on the size of your hole. You can’t fix a two foot gap in your wall the same way you would fix a nail hole from a picture frame, but both use similar tools and equipment. So, first step: How big is the hole? This post contains affiliate links for your convenience (so you can see what products I’m talking about). For more information, please read my full disclosure policy. The only thing you need is a small container of spackle (also calling spackling). You might also want a putty knife, it make applying the spackle easier and more even, but you can just use your finger. Just scoop out a little bit of spackle and wipe it on the hole. 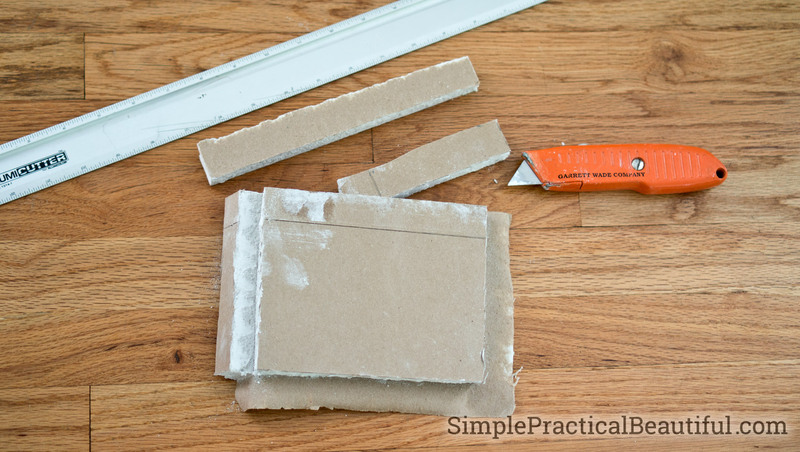 Then use the putty knife or your finger or a straight edge to wipe off any spackle not in the hole you’re repairing. Let the spackle dry, sand if needed, then paint over it to make the spot more sturdy and to blend in with the wall. 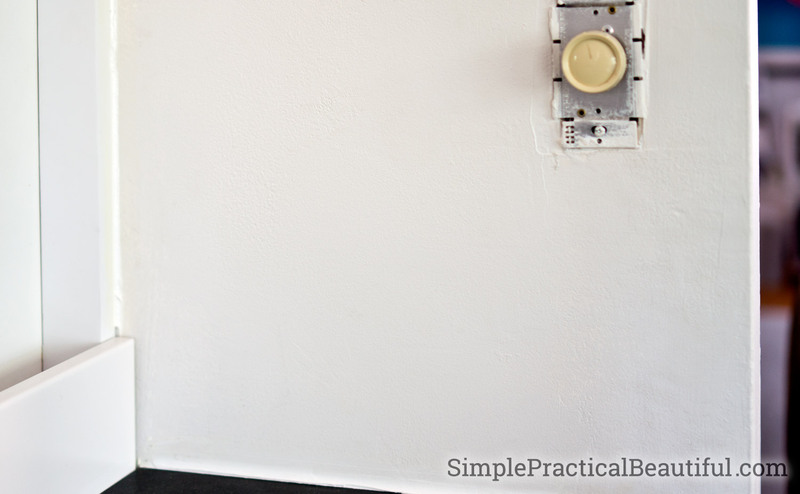 If the wall is white, you can skip the paint, but the dried spackle might chip off. Please do not use toothpaste or other “life-hack” ideas. 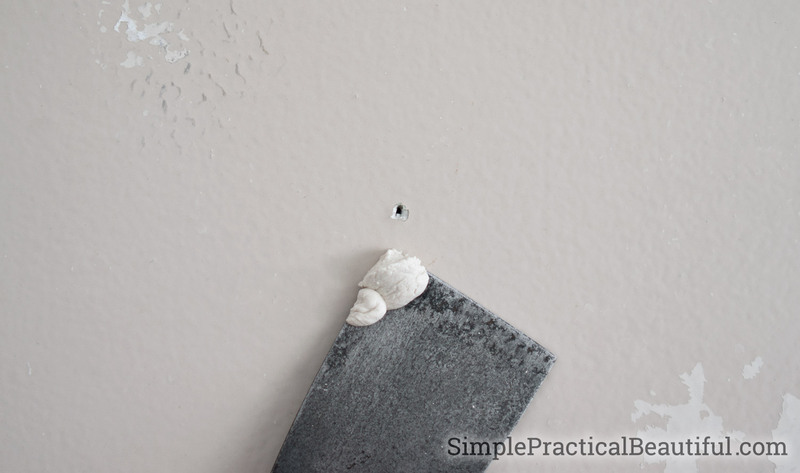 Spackle is very inexpensive, just a few dollars, and it stays useable for a long time if you store it correctly. Whether you’re renting or own your place, spackle is the best, the easiest, and the correct way to fix any nail holes, dings, or other small holes in your walls. 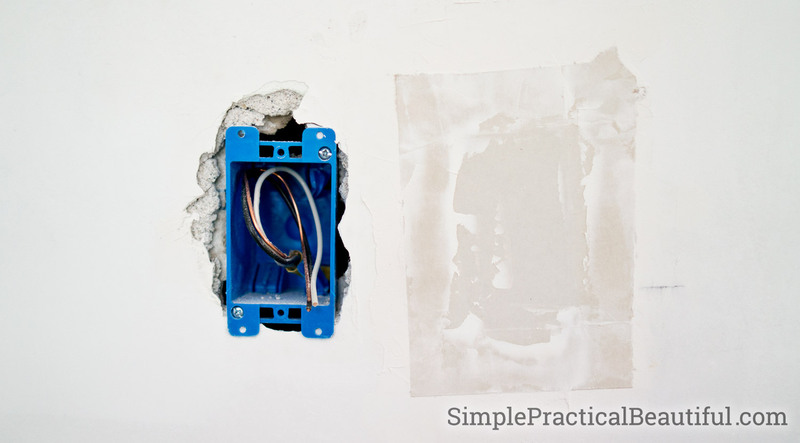 To patch a larger hole, you will need something to hold the spackle in place while it dries. The easiest way is to buy a wall patch kit. 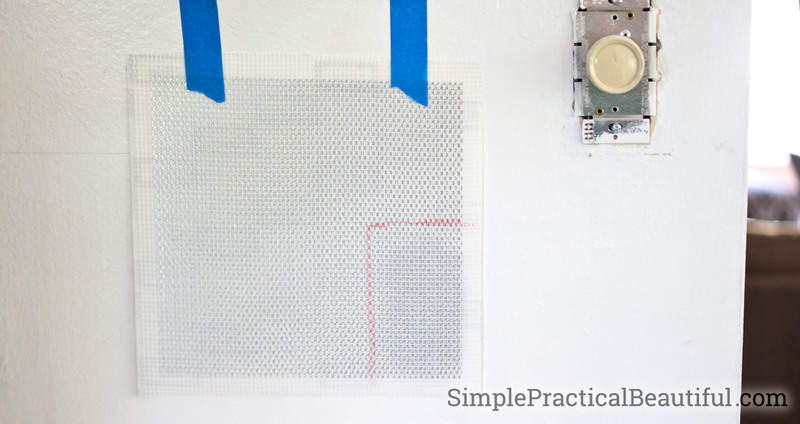 I used this mesh patch because I already have spackle and a putty knife, but this wall patch kit comes with everything you need. Cut the mesh at least an inch larger than the hole. I simply taped up the whole piece of mesh up to my hole and drew an inch around the entire hole right on the mesh, then cut it out. Your measurements don’t need to be exact, you just need enough mesh to hold on to the existing wall. The mesh is adhesive, but it doesn’t stick well. Just long enough to get the sticky spackle started. So, stick the mesh on and start spreading spackle across it with a putty knife. Spread a thin layer of spackle then let it dry. Repeat 2-3 times, until the mesh no longer shows through. The spackle will make the area completely smooth. That’s great if you have smooth walls, but most of use have textured walls, so we need to add texture to the repaired spot. Adding texture is pretty easy with drywall spray texture. Just aim the aerosol can and spray. There is some over-spray, so make sure anything within a few feet of where you are spraying is covered or moved. You might also need to dust the room afterwards, but the overspray wipes off easily. Finally, paint. If you have left over paint from when the wall was originally painted, that’s great! Use that to cover the repaired spot. If you need to buy more paint, even if you color match the original color, then you’ll need to paint that entire wall. Otherwise your newly painted spot will never completely match. You don’t need to repaint the whole room, just the one wall. A butterfly patch is more durable than a patch kit, but you will need to use a piece of drywall to make it, so the process is a little more involved. 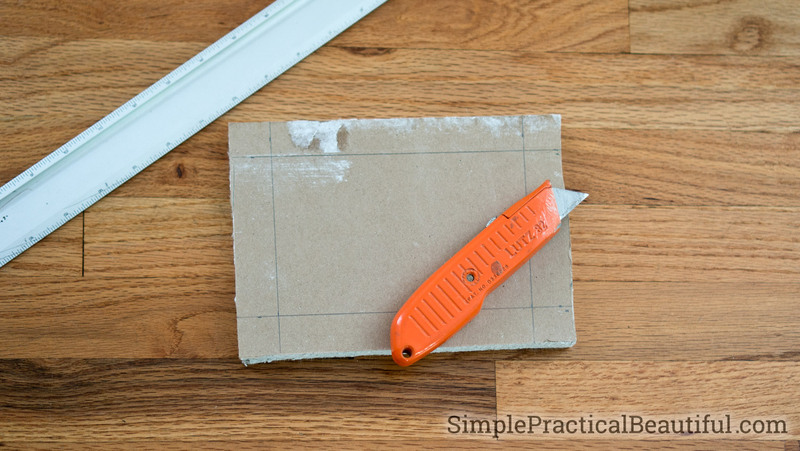 You also need to make your hole a perfect rectangle, so it may require cutting into your wall. You can use a chisel and hammer to cut a straight line in your wall or a drywall knife. First measure you hole and add 2 inches to each measurement, and cut a piece of drywall that size. So if your hole is 2 inches by 3 inches, cut a piece of dry wall that is 4 inches by 5 inches. Next score the back side (brown or backer paper) of the drywall pieces 1 inch from each edge. You will see a rectangle in the center the same size as your hole. Snap the dry wall at each score line and peel off the backing paper and the white gypsum inside, leaving just the front (white or facer) paper. If you have a perfect circular hole you need to repair, 6-inches or smaller, you can buy a premade butterfly patch called a drywall plug. Now insert the butterfly patch into the hole in the wall with the loose paper side out. 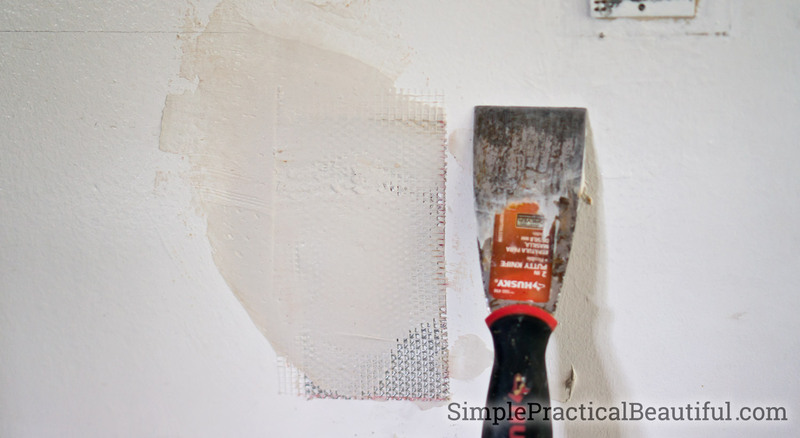 Wipe mudding or joint compound or spackle on the wall underneath the loose paper, then press the paper down on the mudding so that it sticks thoroughly to the wall, using a putty knife. Let the mudding dry. Once that mudding is dry, cover it with more layers of mudding, then texture and paint just like you would if you were installing dry wall. The butterfly patch worked really well for us after our kitchen demolition because there were several small hole that needed to be repaired, including a couple of places where there was an outlet that we moved to a more convenient place. A butterfly patch is perfect for covering an old outlet hole. On some of our other holes, where the old tile pulled the plaster off the wall, we had to cut the holes a little larger to make them perfect rectangles. If your hole is larger than a few inches, you will need to cut drywall and attach it to studs in the wall. This might mean making your hole larger so that the studs show. It always feels painful to make a hole in your wall bigger, but it will be worth it in the end. Here’s our kitchen wall after out kitchen demolition where we had a gas line moved and two new outlets install. Some of the wall had to be removed to install everything, but then we had to make the hole bigger so that a piece of drywall could be attached onto the studs. 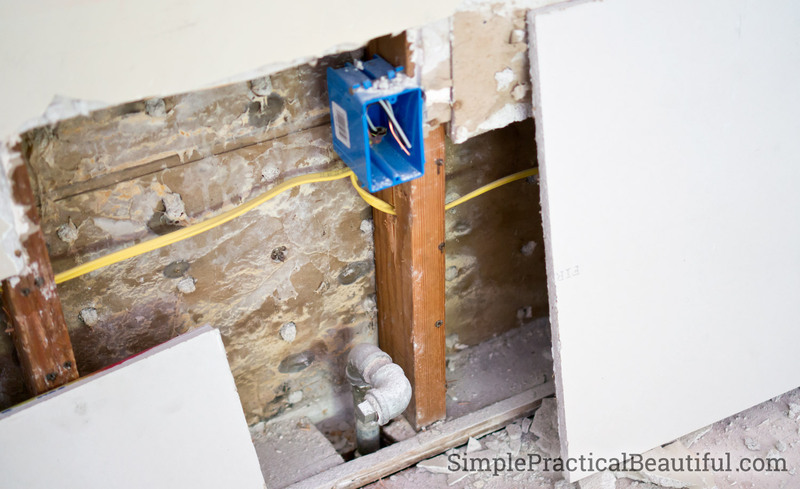 You can read the hole process of putting up drywall, mudding, texturing, and painting in my post on replacing wood paneling with drywall. Any hole in a wall can be repaired so that it looks that the wall was never damaged. 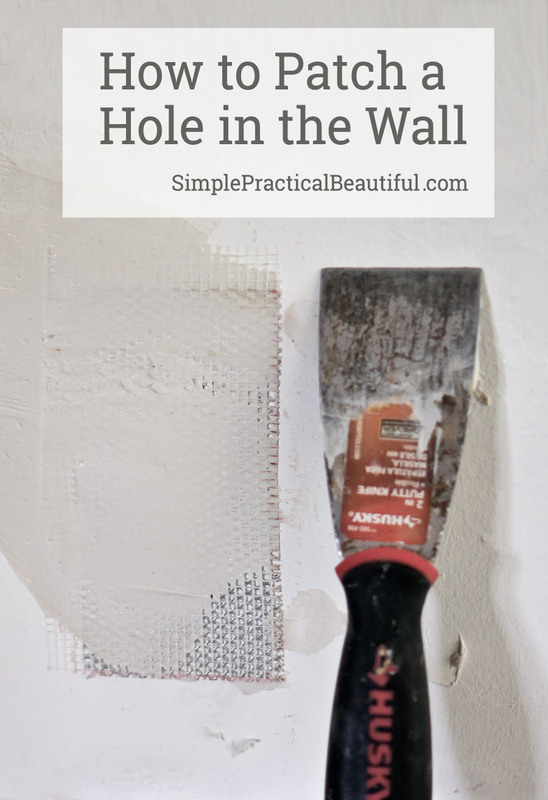 How to patch a hole in the wall just depends on the size of the hole.